May God Bless You With Success! 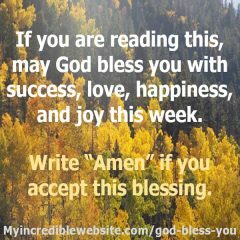 If you are reading this, may God bless you with success, love, happiness, and joy this week. Write Amen in the comments if you accept this blessing.